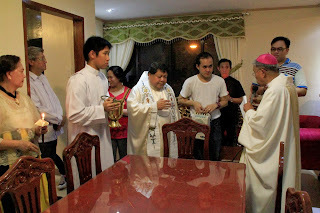 Last September 6, a First Friday, at the 6:30pm mass, Rev. Fr. 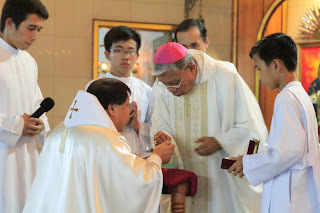 Juan Bosco P. Abellana, was installed as the 8th parish priest of San Lorenzo Ruiz. In a solemn and simple ceremony, the Most Rev. Antonio R. Tobias, the Bishop of Novaliches, conferred on FJB the office of pastor of SLRP for the next six years with all the rights, duties and authority vested in him by the Holy See. Fr. Amado Lucero, current parish priest of Our Lady of Consolation in Mira Nila, read the appointment letter of Father JB after which Fr. JB gave his promise to the bishop and the congregation his commitment to serve the parish to the best of his ability. Three parish priests from the Vicariate of San Isidro Labrador and those from the Dehon Fathers also witnessed the occasion. 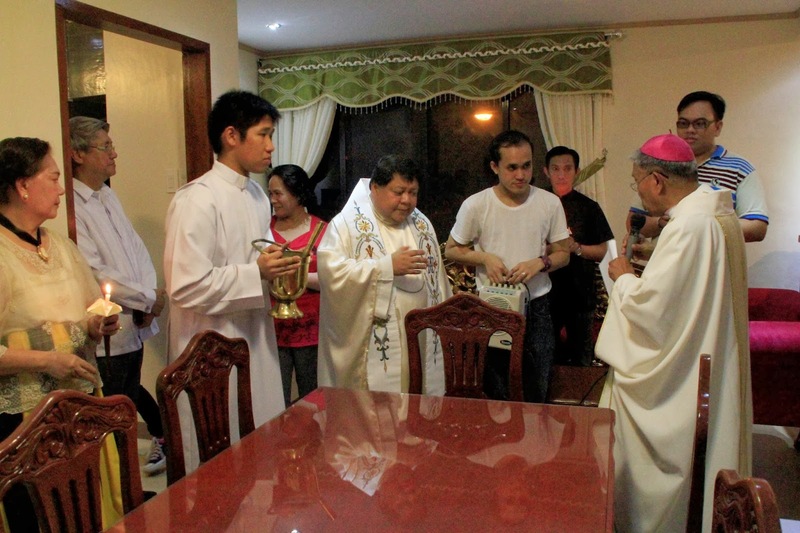 Immediately after the installation mass, everyone trouped to the newly built Formation Center for the blessing of the Parish Priest’s quarters and conference room on the second floor. 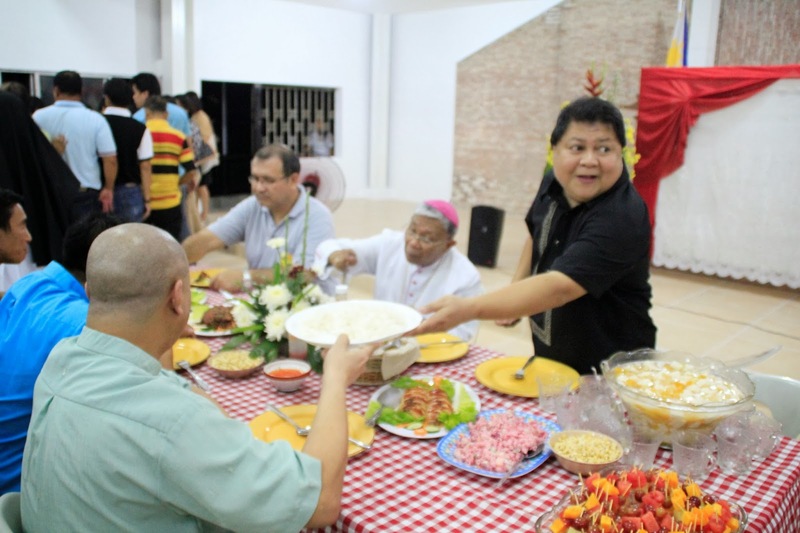 A short fellowship welcoming Bp Tobias and all guests and parishioners followed where guests were treated to a buffet dinner of local cuisine prepared by the parish workers. Kuya Peter Tamayo, Asst PPC- Chair led the fellowship with the opening prayer. Kuya Tony and Ate Lina Felicano, PPC Chair, gave the welcome remarks and Kuya Cesar Tiongson, head of the Construction Committee, gave a brief background on the construction of the Formation Center and the parish priest’s quarters. To enliven the program, Ate Cora Pangyarihan rendered FJB’s favorite song, Evergreen. In turn, FJB belted out a contemporary OPM song entitled Hanggan. The fellowship ended at about 10pm with FJB given the closing prayer and the blessing.